Pakistan Muslim Nawaz President Shehbaz Sharif’s physical remand has been extended till December 6 by an accountability court in Lahore on Wednesday, Express News reported. Shehbaz was presented before the accountability court in the Aashiana housing scam and Ramzan sugar mills case. The accountability court had earlier reserved its verdict on the NAB prosecutor’s request. PML-N president’s counsel stated that Shehbaz’s assets are not concealed and even details of his assets in UK have been presented. He said that DG NAB will file the references by the end of November. In response to this the judge stated that telling about the reference 15 days prior to filing it was a very controversial statement. To this the NAB investigation officer responded saying that “the reports circulating in the media are false and the reference has been forwarded to Chairman NAB Justice (retd) Javed Iqbal.” He said that the timeframe mentioned is also not true. 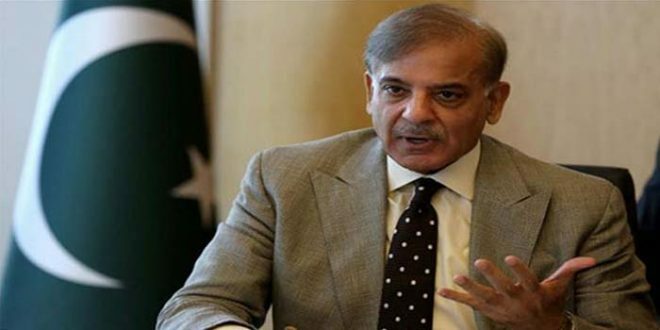 The accountability court judge also inquired Shehbaz about his medical examination, to which the PML-N president’s counsel replied that “elements of cancer have been revealed in Shehbaz’s checkup,” and requested that a medical board should be formed to examine his client’s medical reports. Several PML-N workers including Shehbaz’s son Hamza, also reached the Secretariat Chowk during Shehbaz’s hearing. They chanted slogans in favor of the PML-N president and against the government.